Mummy just needs, a hot cup of tea? Baby is non-stop, mummy just needs a drink. Then bath time, splashing, and off to bed. Lovely dreams til morning comes. Happy baby, happy mummy, a nap is all we need. To curl up in a ball and pray baby naps for more than half an hour… Oh yeah that doesn’t work! This is very cute, I remember those days for sure. I do miss my son’s nap time, and I sure could use one still somedays. Thanks for sharing. Haha- oh yes. This sounds very familiar. There are days I’d do anything just to sit down and drink tea in peace. Wow, a really impressive poem! And all very true!! I had two terrible nap rejectors for the first seven months, then for both of them, seven months seemed to be the time they decided that yes they liked napping, and were going to do it at regular times, for long periods! It was really odd! I so know what you mean that theres just so much to do, and you just need a little time to do a chore/eat/pee!!! Really great post! I remember feeling the loss of nap time when mine outgrow it, it is a precious Mummy hour of the day! Naps are great. If I am very lucky my nearly three year old will take a quick afternoon nap especially if he has been at the childminder that morning but I miss the days when it was part of the routine. Oh dear! Coffee all the way then! Oh I count down till nap time too and hope for at least an hour any less and I’m so disappointed! Ha! Great post and thanks for linking up to the #bestandworst see you again! Were going through the skipped napped grumpy stage now. Cute poem! 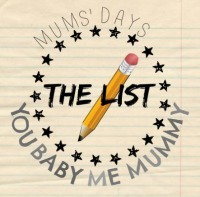 mummyofboygirltwins recently posted…Motherhood guilt: can you ever beat it?